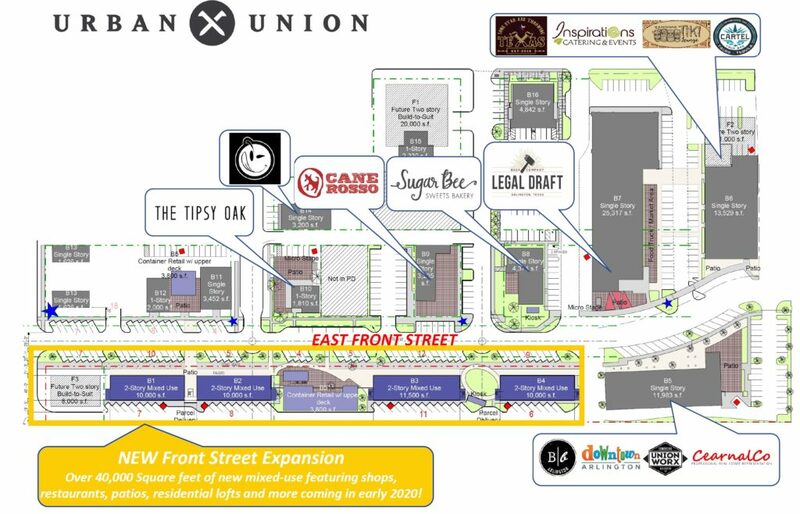 March 25th, 2019 – Dodson Companies announces the next stage of development for Urban Union in Downtown Arlington. Phase II – featuring a 55,000-square-feet, four-building expansion – is officially underway, bringing our district five walkable city blocks filled with more space for Arlington small business owners, shopping, food, and residential lofts on Front Street. Cultural curators and exciting businesses will bring experience-driven pop-ups, boutiques and so much more to our favorite city!